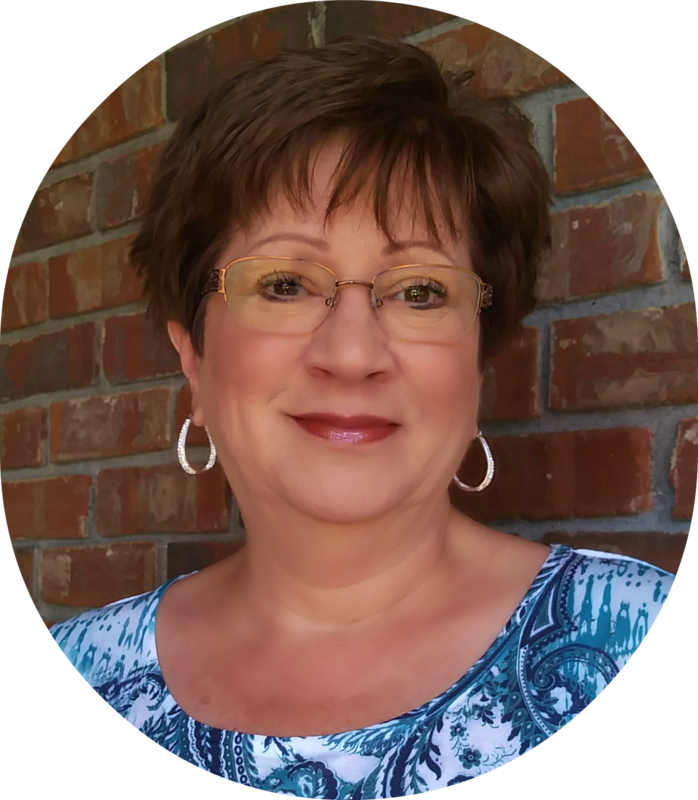 I’m Joyce and while I would prefer to get to know you over a tall glass of southern sweet tea or a hot cup of coffee I realize that’s not always possible so connecting with you here is the next best thing. Like you, my life is busy and I’m very grateful for that, because it means I have a life. 🙂 I can’t imagine spending my days in front of a TV or on social media watching others live their lives, while mine quickly passes away. I wear many hats —- I’m a Speaker, Blogger, Interior Designer, Professional Organizer —- but these Three hats are my FAVORITES! I’ve been blessed to have my own business since 1998, where I have been privileged to meet and serve so many amazing ladies (and a few gent’s) as a Professional Organizer and Interior Designer. Then in 2017… I decided to enter the blogging world…Whew, what a journey! Everything has been a challenge… from learning the difference between a Page and a Post to figuring out how to keep my colors consistent (and I still don’t know how to make the font smaller) however, because of the cost of a ‘custom designed site– I decided ‘I can do this myself’ — (after all how hard can it be) — I did the research and purchased a theme – It was supposed to be super user friendly (and it was) if you knew a ‘few’ basics which I didn’t 🙁 🙁 so after a few posts (most of which I’ve deleted) I did what all BRAVE people do… I QUIT! And while I am FAR from perfect…there is one thing anyone who knows me will tell you…I am NOT a Quitter! Then in March of this year (2018) I crossed paths with Sara from Moon Designs and everything changed – she took my dream and in a few short weeks turned it into a reality. So, here I am again, on the journey of helping you create a “Home that Feels like a Haven”…and I’m GIDDY with Excitement. My blog may not be as polished as all the Bloggers I look up to…but I’ll get there!!! And guess what…. So Will You!! You long for a home that feels like a Haven — and you’ve tried so hard to make it a reality — but something is missing. Keeping clutter at bay is a constant struggle plus there’s meals to plan and ball schedules to juggle and groceries to buy…not to mention the JOB you have to go to everyday. Let’s be real here….there are day’s when ~~~~ It’s just tooooo much ~~~~ And you feel like QUITTING too. But, you’re not a quitter either and that’s where I come it. Together we will face our fears and tackle them ‘one baby step’ at a time …. How Cool is That???? I look forward to getting to know you as you get to know me. I wasn’t born “organized” and was introduced to what it means to “live life organized” when I married Hubby. He is Mr. Organization personified! However, once I got the “organizing bug” and put my own home in order I was AMAZED at the difference it made, so I started organizing all my friends…which turned into a business. I have been working with clients since 1998 and recently decided I’m ready for a change. I decided I want to help more women change their life and become all God created them to be…the natural outcome of that decision was to “start a blog” and here I am! I grew up in the western part of North Carolina, the oldest of six kids and our home, though very small, could have benefited from some of the space saving tips I have learned as an adult. I confess to being a “reformed messie” myself and can totally relate to living in clutter. In 1977, I married my soul mate who also happens to be “Mr. Organization personified” and I began to see how much better life could be organized, I just didn’t have a clue where to start or how to get there. After seven years of marriage, I experienced a hormone imbalance that left me battling some things I was NOT prepared for…depression being one of them. It felt like my life was totally out of control! One day in desperation to gain control over something in my life I went to a local bookstore and ran across a book called the “The Messie’s Manual” by Sandra Felton. I felt like I had been thrown a life line. I came home and began implementing that book one step at a time and I started to notice something amazing happening! As I gained control over the exterior clutter, it became easier to deal with the interior clutter. Yes, I was still under the care of a physician but I immediately began to experience a peace I hadn’t had in a long time and I found myself wanting to organize everyone around me! About this same time, the company I worked for went out of business and I found myself unemployed. Hubby knew I had always had a passion for Interior Design so he encouraged me to enroll in school, get my ID degree, AND open my own business. So, in January 1998 “Uniquely Yours” was born. About this time our church was studying the “Purpose Driven Life” by Rick Warren and I realized my true passion was helping people (women in particular) create order from chaos so I renamed my business and started focusing on creating order in the lives of my clients. Thanks to those who forged the way before me—–Sandra Felton and Emilie Barnes as well as organizations like NAPO (National Association of Professional Organizers) and shows on TV like Mission Impossible and Clean Sweep, I was pleasantly surprised to find out I could make a living doing this. I have had the privilege of meeting and working with some of the most amazing people, many of whom have become cherished friends. Fast forward to today and I am realizing I’m not as young as I was 20 years. In a few years, I won’t enjoy climbing up and down a ladder all day doing “hands on work.” (At 4’11’’ I am up and down a ladder A LOT!) So, I started asking myself “What can I do that that will still allow me to do what I love (motive and inspire women to turn their homes into havens) and yet do a LOT less individual work with clients? The answer (at least for now) is to start a blog. Voted Business Associate of the Year in 2007 and Woman of the Year in 2013 by Douglas Co. Chapter of ABWA. I LOVE ALL things HOME and FAMILY! I have a few core beliefs that drive everything I do…here they are. I believe God loves us and He wants a personal relationship with us through His Son – Jesus. I believe we ALL matter and the choices we make every day – Count!